The River Arkansas is a band based on Colorado's Front Range with members living from Longmont to Pueblo. Mike Clark is a Colorado native living on the banks of the Arkansas River in Pueblo. In the winter of 2014 he penned a collection of songs about heartbreak, love, and escaping the clutches of day-to-day society. The following spring, Clark decided to make that collection into a record. By good fortune Macon Terry, a bass player and good friend of Clark's happened to be in the neighborhood the day the studio was booked for recording. Though Terry arrived not knowing any of the songs, what they captured was the beginning of something great. Months later, with a string section added to the lineup, the River Arkansas was born. 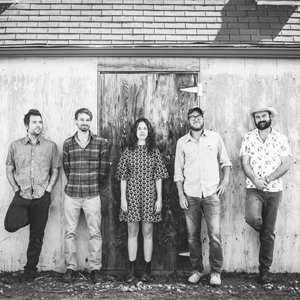 The band has traveled the south and western United States touring on their Sophomore release "You Animal," as well as playing shows all across Colorado with their distinctive mixture of Country, Blues, Folk and Americana. "Asking questions (and listening to the answers) is one of our most under-rated tools — it’s a way of learning about the world, connecting with other people, surprising yourself — and I love the chance to underscore the simple power of curiosity." Curiosity got Charles Fishman admitted to the only bomb factory in the United States. It got him into the busiest maternity ward in the U.S. For a while, curiosity got Fishman a job as a tugboat deckhand on the Mississippi River. And not too long ago, Fishman spent two years thinking about curiosity fulltime, to write the #1 New York Times bestseller, ‘A Curious Mind,’ with Hollywood producer Brian Grazer. Fishman is an investigative reporter and bestselling author, which is to say, he’s turned curiosity into both a passion and a profession. He asks questions for a living, and he knows that even the simplest questions, even the most obvious questions, have the power to bring adventure and insight, joy and connection to your life. You just need to have the courage to ask them. And remember to listen to the answers. Did you know: Charles Fishman started out as a newspaper reporter at age 10, typing a newspaper for his block in Miami with his family’s typewriter. He has also worked as a deckhand on a tugboat on the Mississippi River and has been to the bottom of the second deepest mine in the world. Abigail Graese is passionate about pursuing research that has the potential to create change. Research has many forms and almost infinite areas of applicable study, from cutting-edge academic research, to an afternoon spent learning about an interesting topic independently. 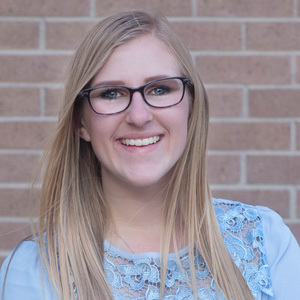 Abigail, a current senior at UCCS, has discovered an avenue for her curiosity through working on research in machine learning and computer vision. This has broadened both her knowledge and the boundaries of what she thought was possible, creating a passion for learning and applying new techniques and concepts both within her research field of interest and outside of it. Did you know: In addition to doing research, Abigail gives campus tours to prospective students, is a candidate for the Stanford University Innovation Fellows, and is applying to graduate schools. "I strive to be a curious learner and a creative maker for as long as I am alive. " Being endlessly curious, opening oneself up to awe, engaging in play, and working closely with people unlike you, are some of the essential conditions for creative thinking. These are the conditions in which innovations can emerge. For the past decade, Prasad Boradkar has been leading a program called InnovationSpace at Arizona State University, where curious faculty and students from a variety of disciplines cooperate to design creative solutions to address some of the more complex challenges we face today. In this talk, Prasad will refer to some of the ideas that drive the program, including biomimicry, often described as innovation inspired by nature, and life-centered design, which extends the focus of design beyond humans to all species. 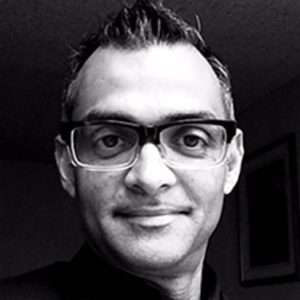 Prasad Boradkar is professor in Industrial Design at Arizona State University (ASU) in Tempe. He is the Director of InnovationSpace, a transdisciplinary laboratory at ASU where faculty and students from design, business, sustainability and engineering partner with corporations to develop human-centered product concepts that hold societal benefit and minimize impacts on the environment. He also serves as the Co-Director of the Biomimicry Center at ASU, an organization dedicated to the exploration of biologically-inspired solutions to problems of sustainability. Prasad is the author of Designing Things: A Critical Introduction to the Culture of Objects, and is currently working on a book on Indian design. Did you know: Prasad Boradkar is a fan of analog audio technologies, and love tube amplifiers, Walkmans, boomboxes, and turntables. "I believe that improvisational practice can change you and it can change the world." In his time overseeing Second City’s live theatrical operations, Kelly Leonard has hired Stephen Colbert, Steve Carell, Amy Sedaris, Tina Fey, Amy Poehler, Seth Meyers, Keegan Michael Key, Rachel Dratch, Adam McKay, Jason Sudeikis, Aidy Bryant, TJ Miller and more. Kelly co-directs an initiative with the Center for Decision Research at the Booth School of Business at The University of Chicago that looks at Behavioral Science through the lens of Improvisation. Kelly Leonard has worked at the intersection of creativity and business and education his entire adult life. In his time overseeing The Second City, he has worked with some of the world’s most gifted comedic minds. He has also led forays into collaborations with everything from opera companies to Fortune 100 businesses; modern dance ensembles to the world of caregivers. 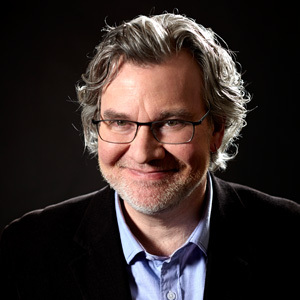 Currently, his work with the behavioral science community has given him insights that provide a deeper understanding of why improvisational practice has proven to be such a springboard for success across organizations and for individuals both onstage and off. In this talk, Kelly tells of his own personal journey of reinvention which led him to understand how successful transformations only come when we develop resilient habits that allow us to use failure and make discomfort a strategy rather than a liability. Did you know: Kelly’s first job out of college was as a dishwasher at The Second City. "Human aesthetics did not begin with the 40,000-year-old cave paintings of Upper Palaeolithic France, but instead have evolutionary roots going back at least 1.8 million years." Since 2013 Dr. Thomas Wynn has worked with noted Los Angeles artist Tony Berlant to assemble an exhibition of early hominin artifacts that document the evolution of the human aesthetic sense. Using his background as a cognitive archaeologist, and Tony's experience in the production of visual art they have identified a number of hitherto underappreciated antecedents to the modern aesthetic sense. Much earlier than most scholars have appreciated, hominins such as Homo erectus invested their artifacts with aesthetic qualities such as symmetry, selection for color, peak shift (exaggeration of visual effects), and proto-typicality. However, this all evolved in the absence of any clear symbolic meaning. 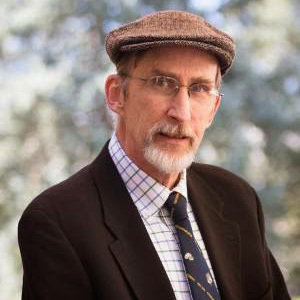 Did you know: Dr. Wynn is considered to be one of the founders of the research specialty known as cognitive archaeology. Daniel Lemmod believes that there has been no better time in history than now to be curious. Indeed, curiosity today can be sated in mere moments through the power of technology. The Information Age has made it possible for all of your crazy thoughts and outlandish ideas to be either dashed against the rocks of reality or uplifted by the winds of idealism through a simple internet search - using just the device in your pocket. 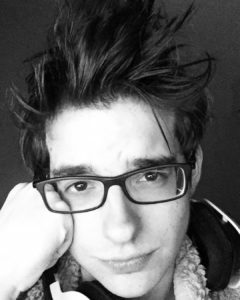 Daniel is a deep learning and machine learning research assistant at the University of Colorado, Colorado Springs who has attended university, failed out of university, graduated from university, and returned for a second degree less than a year later. In his talk he will paint a picture of unbridled curiosity that has lead him into some weird and wacky situations, and encourage you to tackle your own curiosity in a way that’s meaningful to you. Did you know: Daniel Lemmond grew up on an island halfway between Hawaii and Australia called Kwajalein. Presentation: Where might you go if you let curiosity be your North Star? "Peering over the edge is where we find freedom to create our own life and get the resources to pull it off." When Jorge Latre toed the starting line of the 1100-mile Iditarod Trail races last winter, he was curious to experience a really long ultrarun. It turned out to be a journey of self-discovery punctuated with bigger-than-life hamlets and characters, during a particularly harsh Alaskan winter. Most runners stopped before mile 250. Only two of runners (Jorge being one of them) were still in the race after mile 400. Curiosity frees us to pursue the impossible, and yields the mastery to overcome it. Curiosity for space drove Jorge from Spain to NASA, where he supported Space Shuttle missions and led AI research. Baffled by organizational obstacles, he learned to address them at MIT and co-founded strategy innovation firm Strategos. 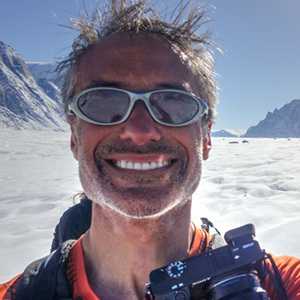 Inspired by his clients’ extraordinary achievements, Jorge draw lessons from endurance journeys in remote northern regions, including a combined self-flown and human-powered science expedition north of the Arctic Circle last year. Jorge Latre shares his insights through Thrive at the Edge. Join him in this fairy-tale of a remote northern country, both harrowing and enchanting. Did you know: Last year, Jorge Latre trained to fly as a suborbital mission specialist in noctilucent cloud research, and was a centrifuge test subject to fly Virgin Galactic’s SpaceShip Two flight profiles. You can read about Jorge Latre's science expedition to Baffin Island here and here. Copyright © El Pomar Institute for Innovation and Commercialization (EPIIC). All rights reserved.